Yas island is something of a miracle really. Up until 2006, Abu Dhabi’s playground island didn’t actually exist, but to answer the need for somewhere to develop tourism they simply created it. Today, albeit man made, it is a serious holiday destination with a clutch of luxury hotels, the F1 Marina circuit, Ferrari World theme park containing the world’s fastest rollercoaster, Warner Bros. World, Water World and a Sea World planned for 2022. 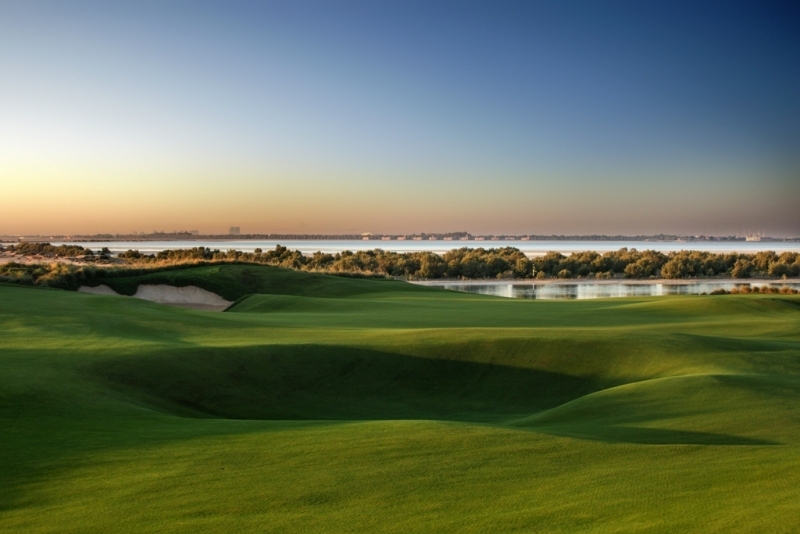 Amid all this extraordinary stuff, the quite remarkable Yas Island Links is a touch of old school; a traditional links course running alongside the lazy waters of the Arabian Gulf. I say traditional, because if you didn’t know any better you might honestly believe you were on a Scottish links, admittedly on a very hot day. Almost as an afterthought, hiding under the links’ shadow, a 9 hole Academy course awaits where you can get golf instruction in the best possible way, right on the course. This is a perfect example (in a good way) of how, if you have the funds, you can simply create anything. This is a wonderful course. Designed by Kyle Philips who also created The Grove and Loch Lomond in the UK, it has undulating fairways, razor-fast greens, wildly grassy rough and plenty of teeth. And of course, there is no shortage of sand lying around here for the one hundred and forty four bunkers and huge grass covered dunes. This is a true 18 hole test of golf for players of all levels at 7,450 yards, par 72 and five tee positions on each hole. Are there any standout holes? I am particularly fond of the 5th, an island par 3 with a huge green nestling among surrounding dunes. Then the testing 9th, a long par 4 with a water carry drive and a long bunker to negotiate before hitting a sloping green. The 18th is a super final hole, a genuine risk versus reward par 5 hole with water following you all the way along the left side, a long bunker in the centre of the fairway and a plenty of danger down by the green. 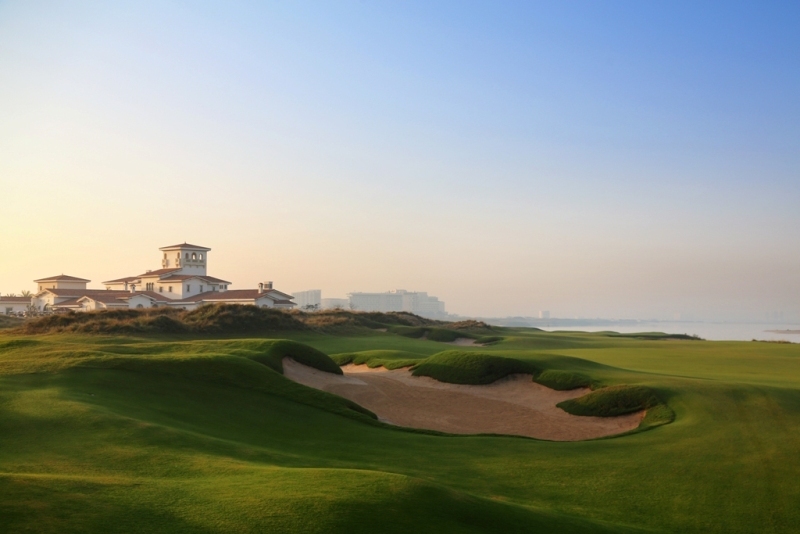 Away from the course, the club house is an elegant mix of Adobe meets Arabian. There’s an infinity pool, a steam and sauna and Hickory’s, an excellent informal restaurant. 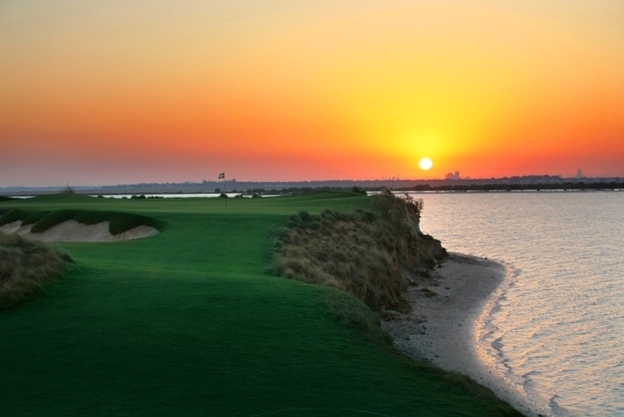 Although Yas Island is a little way from Abu Dhabi city, perhaps 30 minutes by car, it is nonetheless a perfect resort for simply pitching up and enjoying the trappings of tourism; the service, the hotels, the attractions, the weather and of course, world-class golf. 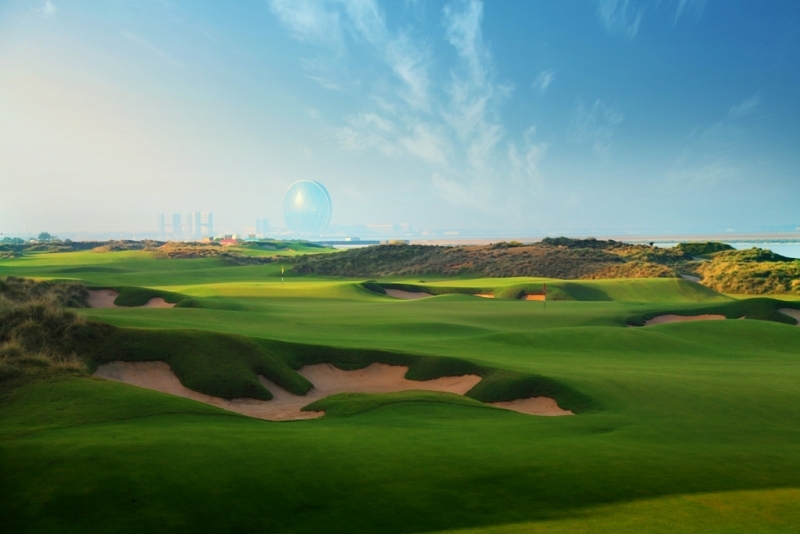 Golf at Yas Island Links is from 325dhs depending on the time of year and level of tariff.